tushar lakhanpal | Collecting is not just a hobby, its a passion. Collecting is not just a hobby, its a passion. I am a 17 year old and live in New Delhi, India. I am passionate about collecting pencils from across the world and I took this up as a hobby at the tender age of 3. ‘’Henry” my favorite cartoon character from the serial “Oswald” inspired me to start a unique collection of pencils as a hobby. It started with stashing away the pencils received as birthday favors and went onto being the item that I bartered with my school mates for. This led to a small collection of 300 pencils. At this point my family realized that my collection was 500 short of the Limca record. We then started a concerted effort to collect pencils across the world. This collection has grown over the years with the immense and selfless support from my family and friends. My pencil collection has won accolades from the Limca Book of Records who recognized me for having the largest collection of pencils in India, in the years – 2009, 2010, 2012, 2013, 2014, 2015 and 2016. 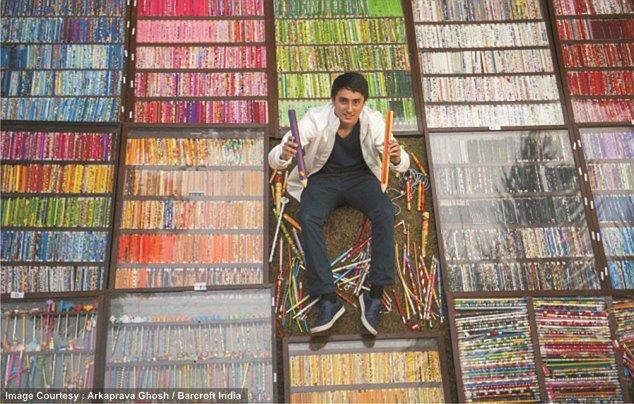 It was a special moment when on 4th November 2015, the Guinness World Records recognized me for having the largest collection of pencils in the world – 19,824 pencils!!! This collection of pencils spans over 60 countries and it is my dream to build a pencil museum to display my unique collection for everyone to see and enjoy. Congo Tushar, Keep it up!